Brigade Electronics was established in 1976 with the introduction of the first reversing alarm to the UK. Now the company has subsidiaries and distribution partners across the world. Chairman and founder Chris Hanson-Abbott, who received an OBE from the Queen for services to vehicle road safety, says he is in the business of saving lives. Chris is also on the Commercial Motor Hall of Fame. The company boasts an impressive portfolio of safety devices including 360° camera monitors, digital recording, white sound reversing alarms and radar and ultrasonic collision detection systems supported by a nationwide network fitters. Close Brothers Asset Finance offers a range of flexible funding solutions to UK SMEs, and are a part of the Close Brothers Group plc. Close Brothers is interested in the Independent Dealer of the Year Award. Hankook is one of the global top 5 mass producers of tyres. The company manufactures innovative, award winning radial tyres for passenger cars, light trucks, SUVs, RVs, trucks and buses, as well as motorsports for circuit racing and rallies. 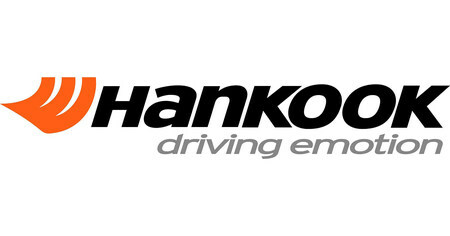 Established in 1941, Hankook has continued to invest in research and development to ensure customers are provided with the highest level of quality and technological excellence. With five development centres and seven large scale factories around the world, the company is also trusted as original equipment supplier to global manufacturers. Hexagon Leasing is one of the UK’s leading commercial vehicle solutions providers. Whether its rental, contract hire, fleet management or vehicle sales we are able to provide a solution. Working across a diverse customer portfolio, including logistics, general haulage, special types, livestock, home delivery and automotive, allows us to draw on best practise and the latest technology. .We continually invest in the latest vehicles, so we can offer customers the greatest environmentally efficiency, best working environments for drivers, most fuel efficient drivelines and a great image out on the road. Being independent of any manufacturer allows us to fully tailor our solutions to meet your requirements. 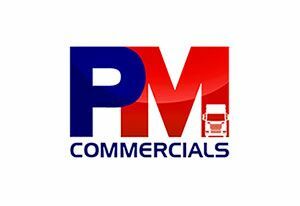 PM Commercials was established in 1998 by Paul May who has worked in the truck industry for over 25 years. He started his career with his father at Chaddesley Commercials in Kidderminster; one of the original used commercial vehicle dealers in the country. PM Commercials is interested in the Franchised Dealer of the Year Award. Protruck Auctions is a privately owned business established in 2006 by its Managing Director, Charlie Wright. Protruck's Team have a wealth of experience built up over many years of working at all levels across a wide spectrum of business sectors with a "Customer Service First" philosophy. Whether it is a 10 year old trailer or £100,000 piece of specialist equipment we have the ability to maximize on net Returns for our Vendors and offer Buyers an opportunity to acquire a wide range of vehicle and equipment. Shawbrook Bank is a specialist lender, committed to working with local businesses and taking a thoughtful, human approach to the way we support customers to achieve their ambitions. Shawbrook offers funding solutions to UK businesses including hire purchase, leasing and refinancing for vehicles and machinery. With dedicated asset finance teams based within Regional Business Centres across the UK, our clients have direct access to local experts who understand the commercial motor and transportation sectors. We assess each enquiry individually and create bespoke finance packages tailored to meet our customers’ business objectives and timelines. TotalKare’s product range boasts heavy duty two- and four-post lifts and a supporting cast of ancillary equipment. Offering 24/7 expert advice, national breakdown and service coverage, and the gold standard in online mobile column lift training, TotalKare is the go-to supplier for all your heavy duty vehicle lifting requirements.